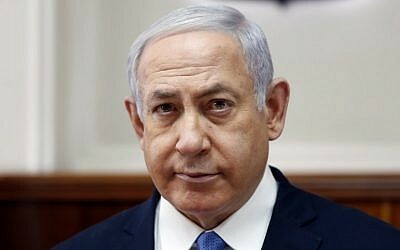 Prime Minister Benjamin Netanyahu on Monday threatened the Iranian regime with destruction after an Iranian military leader warned that the Islamic Republic would raze major Israeli cities if the US attacked it. “I don’t ignore the threats from the Iranian regime, but I’m also not intimidated by them,” Netanyahu said in a Hebrew-language video uploaded to social media. “They should take that into account,” he said. Monday’s celebrations in Tehran were also a backdrop to the military’s display of Iranian-made missiles, which authorities showcase every year during anniversary celebrations. 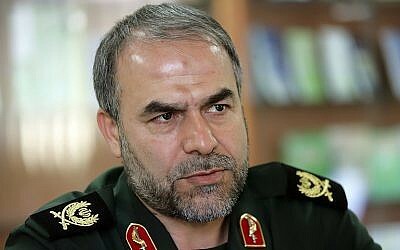 Yadollah Javani, deputy head of the Islamic Revolutionary Guard Corps political bureau, said during a rally that Israel would pay if the US attacked Iran. “The United States does not have the courage to shoot a single bullet at us despite all its defensive and military assets. 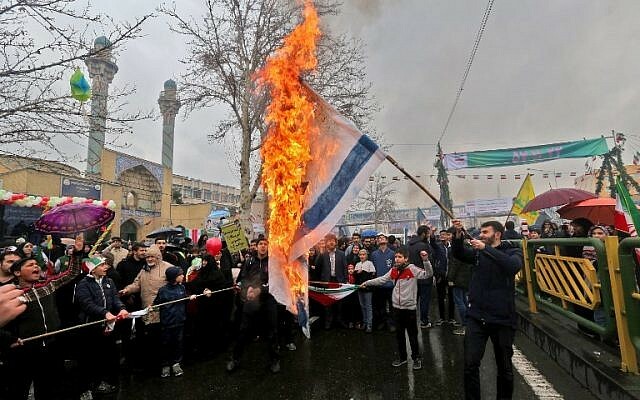 But if they attack us, we will raze Tel Aviv and Haifa to the ground,” Javani was quoted as saying by state news agency IRNA, according to Reuters. 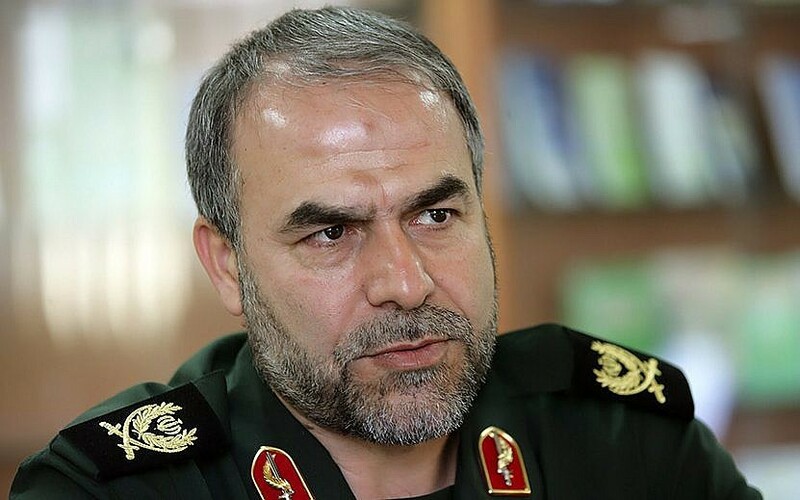 The Islamic Revolutionary Guard Corps spokesman, Brigadier General Ramezan Sharif, said during the rally that “Islamic Iran has reached a level [that enables it] to protect its borders by effective military capabilities, and firmly punish any aggressor,” according to Reuters citing IRNA. At a rally in Tehran, president Hassan Rouhani addressed the crowds for nearly 45 minutes, lashing out at Iran’s enemies — America and Israel — and claiming their efforts to “bring down” Iranians through sanctions will not succeed. Israeli television reported last week that Israel has discovered a new ambitious precision missile factory being constructed by Iran in Syria together with the Syrian government and Lebanese terror group Hezbollah, after Israel bombed and destroyed a previous one. 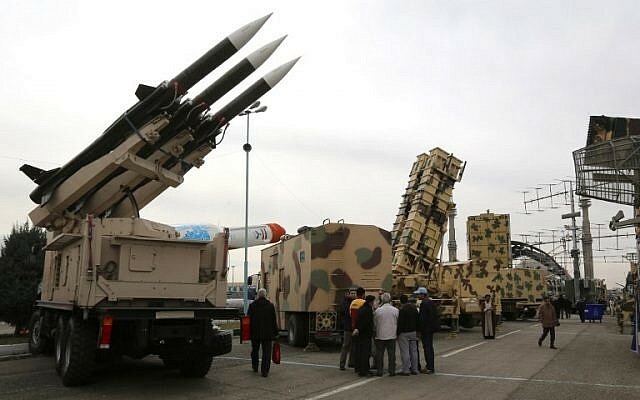 According to Channel 12 news, the factory is intended to focus on producing precision missiles, dramatically upgrading the threat to Israel from the vast arsenal of rockets and missiles deployed against it in southern Lebanon by Iran’s proxy, Hezbollah. Despite Iran’s efforts to conceal the facility, Israel has nevertheless discovered, tracked and uncovered it, the network said, as part of its effort to thwart Iran’s military entrenchment in Syria. Israel says it has carried out hundreds of airstrikes on Iranian-linked targets as part of a campaign to prevent Tehran from establishing a military presence in Syria.